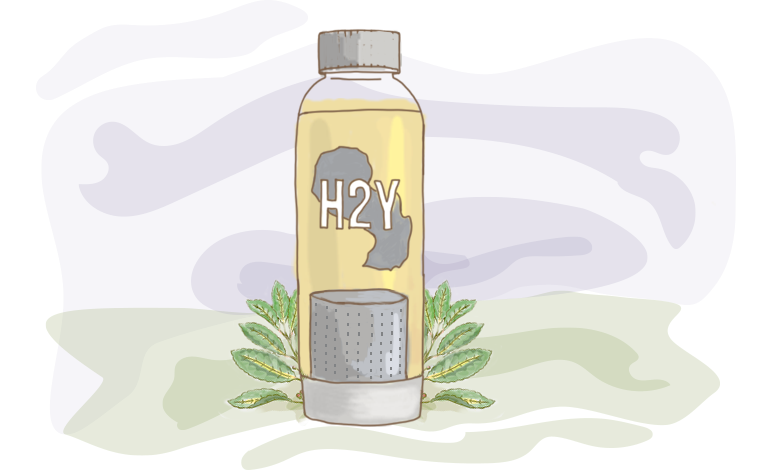 H2Y is a healthy hydration system utilizing nutrient packed yerba mate. Now available with Açaí. Coffee is good. Green tea is great. Yerba mate is better with more active ingredients than green tea and a clean energy boost to get you through the day! Cultivated from tradition, this plant is one of the healthiest ways for hydration and nutrition. The origin: Yerba mate is cultivated from a holly plant native to South America. It was originally cultivated and consumed by the Guarani people in what is now mostly Paraguay. Our blend: The H2Y Yerba blend is specially created to work with our bottle, it is denser and has less dust and small particles. Continuing tradition: Your health and wellness are our priority. Our mission is to spread this centuries old tradition around the world! The multi-use H2Y bottle is unlike any other bottle on the market, producing great flavor and nutrition for healthy hydration all day long! Nutrient Machine: Load the infusion chamber, add cold water and benefit from great tasting refreshment, packed with vitamins, minerals, and antioxidants all day long! Durable & Easy: This sleek, cool bottle is easy to clean and stands up to daily use. BPA Free: The plastic core of the bottle is made of triton plastic and is FDA certified as BPA free! THE BENEFITS OF healthy hydration. This time stick with your resolution for a healthier you. Let H2Yerba aid your journey! Stay up to date on new products, events and news around H2Yerba. Thank you! You're almost done. We need to confirm your email address. To complete the sign up process, please click the link in the email that we just sent you. We're here to answer any questions you may have. If you don't see your answer email us. What is yerba mate? Why should I drink it? Yerba mate is a made from a species of holly plant that is native to South America. It was originally cultivated and consumed by the Guarani people in what is now mostly Paraguay. Yerba mate contains 24 vitamins and minerals, 15 amino acids, and numerous antioxidants. It is a natural, jitter-free source of energy known to boost immunity, improve digestion, and suppress appetite! ‍How to use our bottle? The beauty of drinking yerba mate with the H2Y bottle is you can develop your blend, flavor preference, etc. The first step is to unscrew the bottom and remove the infusion chamber. 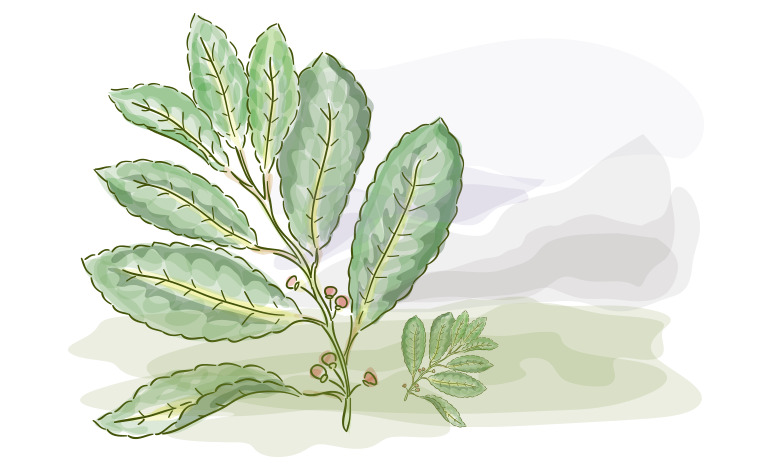 Depending on preference or taste, you may vary the amount of yerba. Secure the infusion chamber to the bottom, and tightly screw it back onto your bottle. Next fill your bottle with cold water, add ice if you desire. Adding a slice of lemon adds a nice flavor. And often other herbs are added, particularly mint leaves. There is no need to change the yerba each time you finish drinking the water, the bottle can be refilled and reused many times! Tereré, pronounced teh-re-RE is a yerba mate infused bevarage, prepared with cold water. It is the staple drink of Paraguay, offering nourishment and refreshment in the hot summer. Tereré is best with ice water, and includes additional herbs, such as mint. Normally, tereré is consumed communally. It is known as the “drink of friendship” and is typically passed around amongst a circle of friends so that everyone can share in the refreshment! Can you tell me something about Paraguay? Paraguay is a place that leaves a lasting impression. Paraguay is located in the heart of South America, landlocked by Brazil, Argentina, and Bolivia. It has long, hot summers, hence the need for a cool, refreshing drink. It is a country rich in culture and tradition with people that are warm and welcoming. It is green, lush country with a distinct smell, almost like the fragrance of the earth. It is a place that remembers that hard work is important, but enjoying life, community, and family is most cherished! I like supporting a good cause. Do you do anything to help the citizens of Paraguay? It is ALWAYS right to give back. In creating H2Yerba, our hope is to share a healthy, nourishing, refreshing drink with a broader market. At the same time, we respect and honor the people and place who have inspired us to share it. This is reflected in our attitude, in our logo, and in our desire to give back a portion of the proceeds of H2Y sales. For every bottle sold, $1 will be donated to help remedy simple issues in the Paraguayan countryside, with a focus on helping local schools!